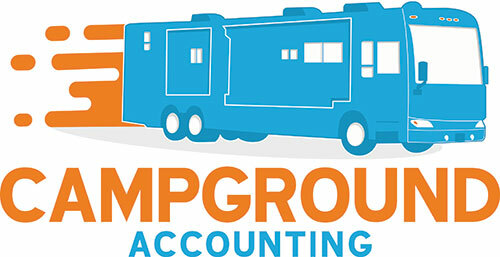 As a CPA Firm representing Campground Owners/Managers, we ran across many forms of entity structures, to purchase businesses and especially campgrounds. But one that we run into a good bit lately is the ROBS plans. And ROBS is short for Rollover for Business Startup and it is a format that allows you to purchase your campground and use your 401(k) money to buy stock in that new entity in your investment in the camp ground. Now, this is not a do it yourself. You are going to have to have an administrator help you do all the setup work, the leg work and there are annual filing requirements. One of the most popular companies we run into is Guidant Financial. They do a lot of these plans. Typically you’re going to find startup costs in the range of about $5,000 to $8,000 is what we usually see, a depending on complexity and you’re paying $139 a month to eternity of right now, to maintain and make sure that they are watching over your structure for you. Now, They are not going to do all of your accounting or anything like that for you, but they are going to file the Form 5500 which is the Retirement Plan document. When you’re 401(k) is rolled over into a separate little bundle that invests in the stock. That plan has to file a Form 5500 which is an Arista or Retirement Document that gets filed with the Department of Labor. Doesn’t have anything to do with the IRS. Okay, now I want to talk to you briefly about what the functions are in the ROBS and what makes it attractive to people and what are some of the complexities that come along. Now obviously financing is a tough thing and getting into business these days. So when buying a camp campground, one of the logical places people look and think about are friends and family and their retirement assets. Many people have retirement assets and they’d like to retire from a company where they will then be able to roll those assets over. So, what they’re doing is rolling those into a self-directed 401(k) and that self-direction is purchasing the stock of the campground. Now when that happens, you’ve got some filing requirements that you’re going to have to comply with and you got a lot of hoops you gotta jump through. This isn’t just any old business structure that you can kind of throw together and hope everything works. You’ve got to have a really solid plan here. So, what this means is the new entity structure for the campground must be a “C Corporation”. You as the owner must take a payroll through a W-2 Wage Structure. You can’t just do a combination of distributions along with it. Those would be dividends and those same dividends would have to be paid in proportion to ownership. What’s your 401(k) is going to be an owner and you’re going to be an owner and you may have some others as well. So, it’s a little more difficult structure to work with. What happens when you send two CPAs out into the relaxing outdoors to camp? You get CampgroundAccounting.com. Donna and Chad have over 50 years of combined experience as entrepreneurial CPAs. They’ve owned businesses and helped business owners exceed their wildest dreams. 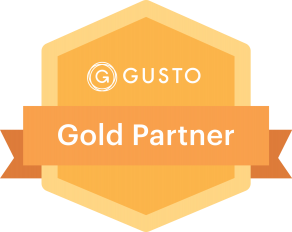 They camp and travel across the country every chance they get, so its just a natural fit that they focus their CPA skills on helping campground owners throughout the USA grow their businesses and minimize the impact of taxes. They understand the key performance indicators and specialized issued that face RV park owners every day.